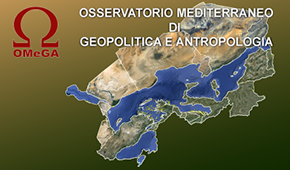 After having launched the book review column (director Ferruccio di Paolo), which focuses predominantly on publications regarding the geopolitics of the Mediterranean Area, and has released its first article on The Revolution Will Be Digitised (contribution of Guido Monno), the newspaper has decided to introduce a second column entitled “Bulletin:Inside Cyber Security”. The editor of the column is expert, Maurizio Agazzi (also member of OMeGA) who, for the occasion, has presented us with an article that is both engrossing and alarming. Iran’s nuclear program has brought the question of the Middle-East once more to the fore; the possibility that the Shi’ite regime under Ahmadinejad could be developing a military nuclear division alongside its civil nuclear program is an alternative that in no way pleases Israel and alarms the Middle East Oil Monarchies. That the nuclear production facility in Natanz, Iran might be being used for the low cost production of plutonium intended for the nuclear arming of Iran is currently being investigated by the IAEA (the International Atomic Energy Agency). Consequently, the cost to the Iranian regime has been nothing short of international isolation, an action taken under the lead of the USA. 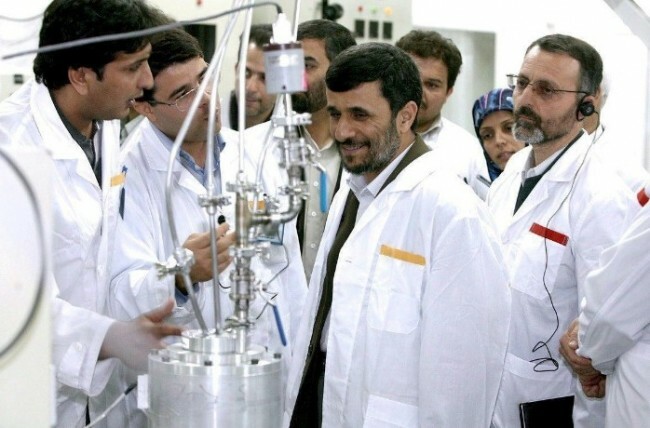 Suffice it to say, however, this last has not succeeded in preventing Iran from obtaining important technologies, such as the centrifuges for uranium enrichment, necessary to the completion of the program. In 2010, the international press placed much emphasis on the fact that the SCADA control systems of the uranium enrichment centrifuges in Natanz were the target of an IT attack in 2009 that used the Stuxnet virus. This cutting-edge cyber-weapon is purported to have damaged 50% of the centrifuges installed at the Iranian power plant, thus rendering their replacement necessary. Consequent to an attack of this proportion, the enrichment process of the uranium should have slowed considerably. Yukiya Amano, the Director General of the IAEA, in two interviews already, has stated however that this has not been the case. The first interview, in which Albert Carnesale asked what impact the Stuxnet attack had had, took place on 9 November 2010. In answer to his question, Yukiya Amano replied that the IAEA inspectors were on-site and had not found any anomalies or anything that might attract their attention. The circumstance surfaced again in his interview with Lally Weymouth of the Washington Post on 14 February 2011. “They [Iran] are producing it [enriched uranium] steadily, constantly” was Amano’s response to the explicit question regarding the repercussions that the Stuxnet attack in 2009 had had on Iran’s centrifuge program. With regards to Stuxnet, the doubt arises as to whether, in this incident full of contradictions, the radar of the global businesses connected to the world of cyber security has not actually intercepted the propagation of this virus from a mirror image. This would explain why the uranium enrichment process had not in any way slowed even though the characteristics of the virus had merged with the SCADA control system architecture at Natanz. This incident demonstrates how many complications there are in the area of cyber security and how the international isolation of Iran has not been able to prevent the country from acquiring technical competence in the cyber defence of its critical infrastructures. All eyes must be turned to the report that the IAEA is preparing (8 November, 2011) because, if it is true that Iran is complex and unpredictable, it is also true that the historical precedents that have been set have shown us an Israel that is determined that there should be no proliferation of weapons of mass destruction in the Middle East; in 2007, the Israeli airforce destroyed the nuclear reactor in Al-Kibar in Syria. Again, in 1981, the Israeli airforce destroyed the nuclear reactor in Osirak in an air raid on Iraq. Any deterioration of a crisis in the Middle East could lead to a necessary acceleration of the action taken by international diplomacy to mitigate the eventual escalation of the conflict. Brooke, Heather. The Revolution will be Digitised: Dispatches from the Information War. William Heinemann Ltd. 18 August 2011.